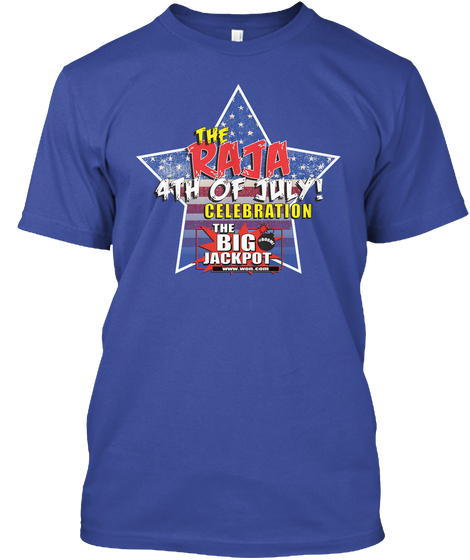 This limited edition shirt will be the same one The Raja will be wearing during the 4th of July broadcast! These will only be around for 2 days and rush shipping is available. Special price of only $15! printing any extras for the party?? The 4th of july is over but the wife is wearing hers today still!